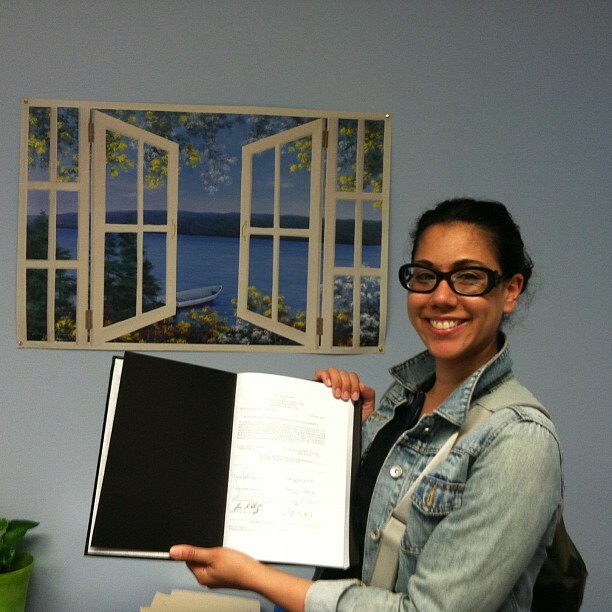 Me (posing as proof of) handing in my thesis: smiling, sleep deprived, hair a hot mess. Dust. I hope no one comes over and looks up my ceiling fans because it's pretty bad. Work on my apt to-do list. There are so many unfinished projects around the apartment. So many things I want to do. Closets that need to be cleaned out and cabinets that need organizing. It's going to keep me busy. Set up my home office. I'm tired of writing sitting on the sofa. I don't have much space but I need a little desk and a chair. The Unknown Mami gave me a great idea! Get back to writing fiction. I'm good at it. I want to get better. Continue editing/polishing 2 short stories and start submitting for publication. I wrote three short stories I'm proud of. I want them published somewhere. I need to get my hustle on. Enjoy my family & friends. I've missed them, especially these last few months. Get a manicure and pedicure. It's needed in the worst way. Go back to the gym. It's also needed in the worst way. Start my non-profit and work on building My Dream School. The Bronx needs it.